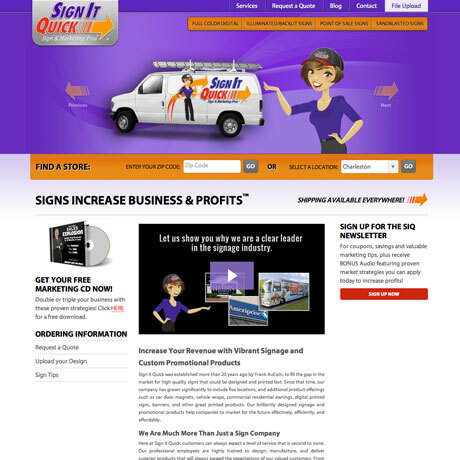 With multiple locations across the Southeast, Sign it Quick offers a variety of products and services. 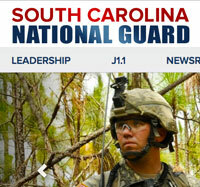 These services include custom signs, full-color digital banners, magnetic signs, point of sale signs, yard signs, vehicle graphics, fleet lettering, window lettering, exterior signage awnings and more. 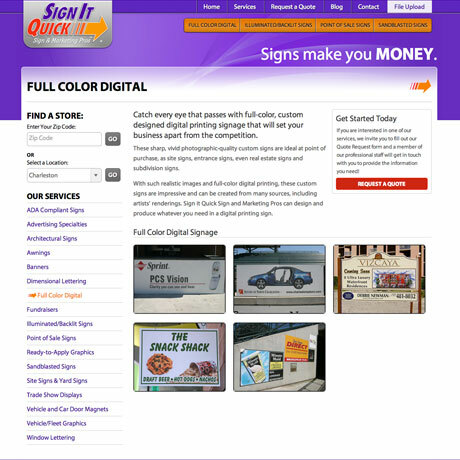 Because of the volume of services offered by Sign It Quick, The Design Group created an easy-to-navigate Services section with numerous pictures for each corresponding service. 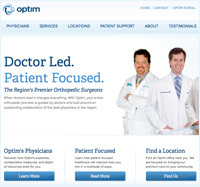 In addition to the information and image filled section, we implemented functionality corresponding with the store locator to customize each page according to the selected store. TDG created an extensive corresponding 'Request a Quote' form, entailing necessary information for each service, and a highly intuitive structure. 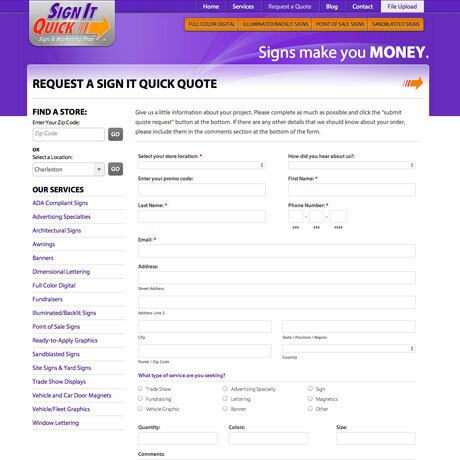 With their wide range of services, it was important to make each service easy to find, and getting started with SIQ even easier. 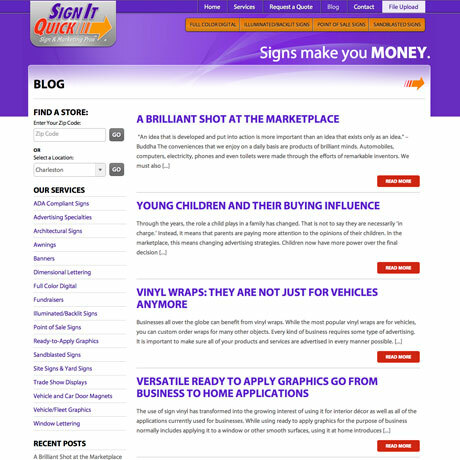 Today SignItQuick.com gets over 1000 impressions per week and has become a valuable tool for the client.